The Firming Serum is for those of us who want skin that looks awake and energized. It is packed with energy peptides and has Borage Flower Extract for a super boost to plump and firm the skin. Borage Extract is also excellent for its anti aging properties. It is perfect for tired and fatigued skin. The firming serum is ideal for all skin types. ⁣The serum is a bit heavy in consistency but light enough to absorb into the skin quickly. It is not greasy, and it is fragrance-free. The Radiance Serum is suitable for skin that looks dull, lackluster, and dry. Made with Peach Flower Extract, this radiance serum will give your skin an immediate pop of radiance. It is also made with 8-peptide complex, and it is ideal for all skin types including dull, dry skin. 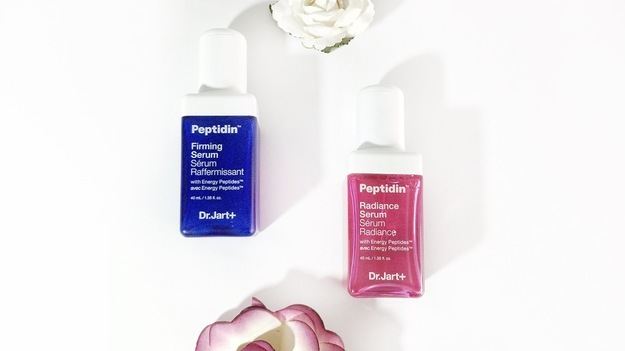 ⁣The radiance serum is very light in texture and also has a water-like consistency. It has a mild floral scent that is not irritating, the smell disappears almost immediately. Just like the Firming Serum, the Radiance Serum absorbs instantly into the skin and does not leave behind any residue. These two products are fantastic for giving you that glass skin. thanks for sharing your skincare routine.